We are a private, non-profit 501(c)(3) organization that provides free spay and neuter options and community education programs. Our base of operations is in Marfa, Texas. Our goal is to make spay and neuter a humanely acceptable and viable means to reduce pet overpopulation, suffering and homelessness. “Stop Pet Overpopulation Today” (SPOT), our targeted low-income spay/neuter program, subsidizes the surgery provided by local area veterinary clinics to pets of qualified residents in Presidio, Jeff Davis, Brewster and Culberson Counties. 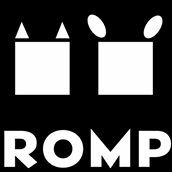 “ROMP in the Classroom” brings humane education to elementary school children.